Finding talented employees can be a difficult task for any business, but it can be especially challenging for plastics processors. Unemployment rates are approaching ten-year lows and, as countless articles suggest, there is an ever-widening skills gap in the workforce. In this tough hiring environment, many businesses turn to staffing and recruiting firms for help. Maybe you’ve thought about it but hesitated, wondering how to choose the right recruiter for your company’s unique needs. Here are some of the issues to consider when hiring and working with a recruiting firm. The American Staffing Association reports that there are almost 20,000 recruiting and staffing companies in the United States. Many of these firms are highly specialized, working only with hospitals, law firms or tech companies. A recruiting firm specializing in your industry has distinct advantages that will benefit you and your business. The less time spent learning the industry, the faster your recruiter can get to work finding you great people. 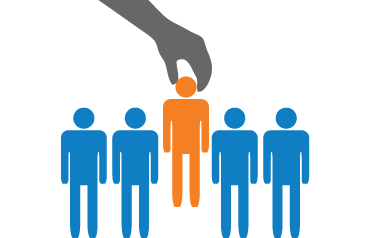 Plus, an industry specialist is likely to have many familiar candidates and leads, which will save you even more time. Double-check that the firm you choose has a history of working with companies similar to yours. Don’t be afraid to ask for references. Any recruiting company can find you candidates. Most recruiters subscribe to job boards and have a LinkedIn network. However, the most important demographic to search is passive candidates, and many recruiters leave this group behind. Passive candidates are people who are currently employed in your industry but may not be actively searching for a new job. They are the hardest candidates to find, but they often have great skills, long tenures, and lots of industry experience. Unfortunately, not every recruiter knows how to find passive candidates. To find that type of candidate, a recruiter needs to have not only industry specialization, but also contacts within the industry. Does your recruiter have a database of relevant candidates and contacts? Does your recruiter understand your competition and know which companies might be a good source of talent? The right recruiter needs to know where to look, but also needs to execute. In sales speak, if your recruiter is unable or unwilling to “smile and dial” to find passive candidates, move on. Treating your recruiter like a partner will help you make the most of your relationship. The recruiter works for you and on your behalf, but will quite possibly have information about the candidate pool or current market situation that you don’t have. You are paying for this kind of information, so make sure to take advantage of it! As an example, your recruiter may suggest changes in salary to bring your position in competitive range, or encourage you to take a second look at a candidate or move quickly to secure an interview. The ultimate decision will always lie with you, but recruiters see a lot of resumes and speak with a lot of candidates. They often know right away when they find someone special, or if a search is likely to face unique difficulties. On the other side, communicate clearly and quickly. If you have a good relationship, built of respect and trust, both parties will reap the benefits. Molding Business Services offers permanent-placement recruiting services to the plastics processing industry. We have been in business since 1998 and several of our partners have actual experience owning and operating an injection molding company. We have built a candidate database with over 15,000 people, all of whom have plastics experience. Our growing team of recruiters is well-trained and knowledgeable about the plastics industry.